Bochum – Three months after suffering a serious shoulder injury against Borussia Dortmund, Borussia Mönchengladbach centre-back is finally closing in on a first-team comeback. However, the 24-year-old Spaniard is not expecting to walk straight back into a Foals side that won six and drew two of their , despite injuries to several of Dominguez's defensive partners. 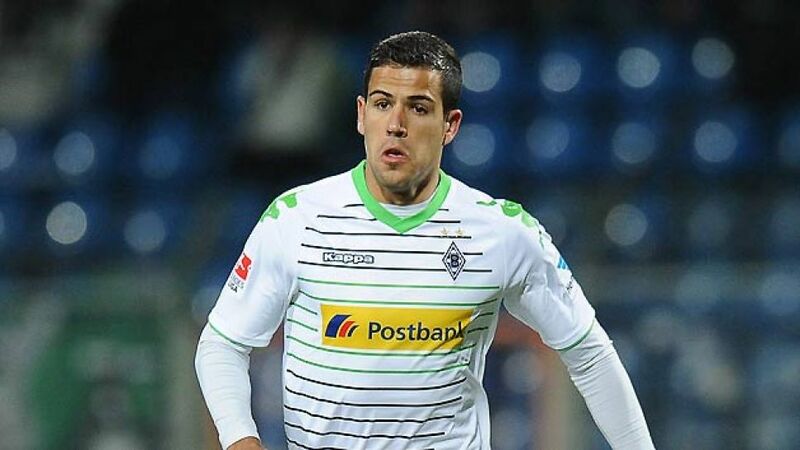 Following Gladbach's 2-0 friendly victory over VfL Bochum 1848, Dominguez spoke to the assembled media about his hopes for the Rückrunde, as well as Borussia's upcoming encounter with FC Bayern München. Question: Mr. Dominguez, how are you feeling and what do you make of Gladbach's preparations for the second half of the season? Alvaro Dominguez: After being out for nearly three months, I feel really good. I've never been injured for that long, so I have to fight my way back [into the first-team setup]. I'm back to full fitness and I'm settling back into the team, which is important. Dominguez: It was just a bit of tiredness. That's normal when you put your body under stress following a day off. You always have to be careful, but everything's ok. Question: You started the match against Bochum. Do you think that will also be the case against Bayern, even if recovers from his injury in time? Dominguez: I don't know. All I can do is work hard and give 100 per cent in every training session. I think I have a chance after training and playing well. We'll see what the coach decides. Question: Are you surprised that Jantschke has done so well in central defence? Dominguez: Not really. He played in central defence for many years for the youth team. He puts in a lot of effort, no matter what position he plays. We have several players who can play in different positions, which is important. I could also play at left-back, for example. Question: On Friday, you're up against FC Bayern. What are you expecting from the game? Dominguez: We're ready for Bayern. Our team has worked hard at the training camps in Belek and Gladbach. We're third after all and want to put up a real fight at home against Bayern. We've got good players and want to keep playing well. Question: Do you think Gladbach can stay in third position? Dominguez: Maybe, but anything can happen. We always remain optimistic. Question: In the corresponding fixture in Munich, you conceded two penalties after handling the ball. Are you still haunted by the events of that match? Dominguez: That sort of thing happens in football, but it's in the past now. I always try and stay positive and look forward. Question: How difficult do you think the start of the second season-half will be, with games against Bayern, Hannover and Leverkusen on the horizon? Dominguez: The second half of the season will be difficult. The first half was hard, but we managed to finish the year in third place. Now we want to stay third until the end of the Rückrunde. Dominguez: Wolfsburg already have a good team and have just become even stronger. You saw how well they played in their last game against us. Dortmund will improve - we all know their qualities. Even Schalke will be fighting for the Champions League places. It's going to be exciting.